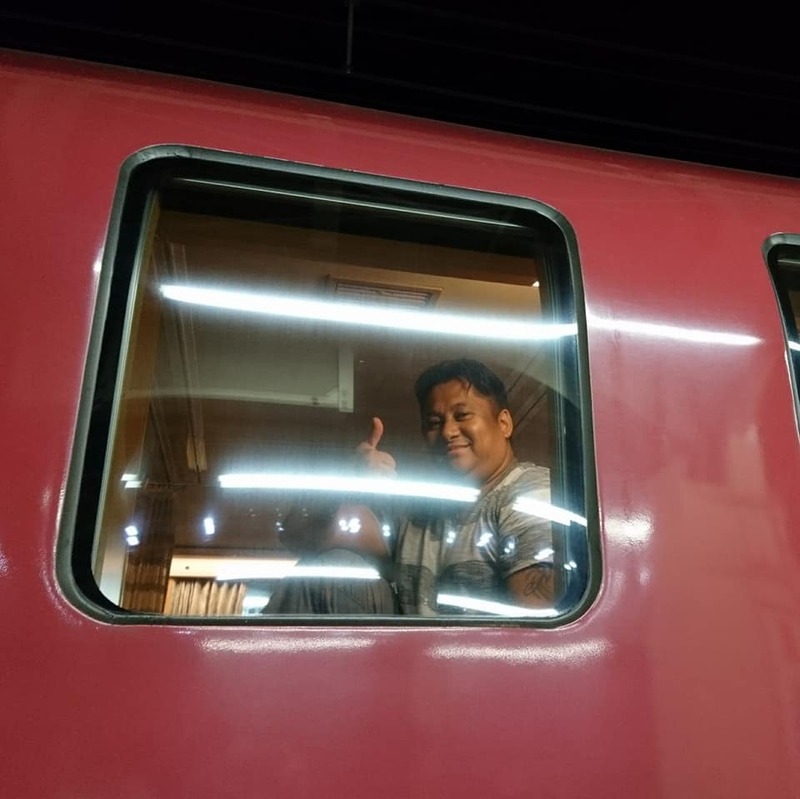 I have been fascinated with the Japan train system. It is intense, plentiful and resourceful when planning a trip. The complexity of the whole system is super interesting to me. One of the best youtube channels I follow is “Only In Japan” hosted by John Daub. One of the episodes, he takes the Sunrise Izumo. 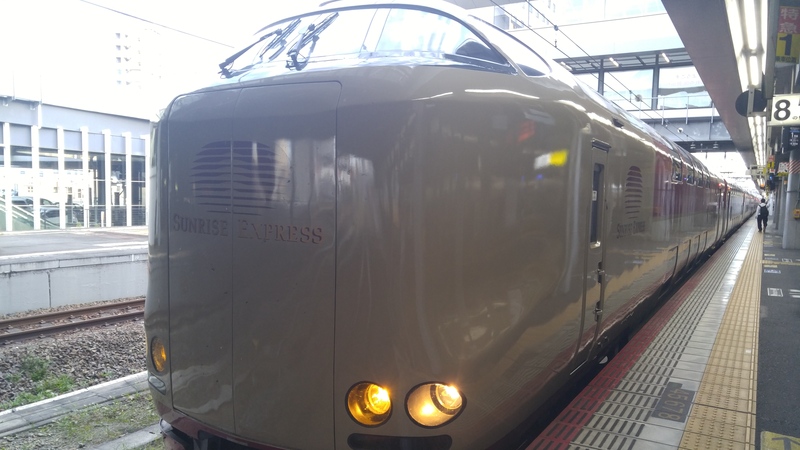 The Sunrise express is the last night train in Japan. 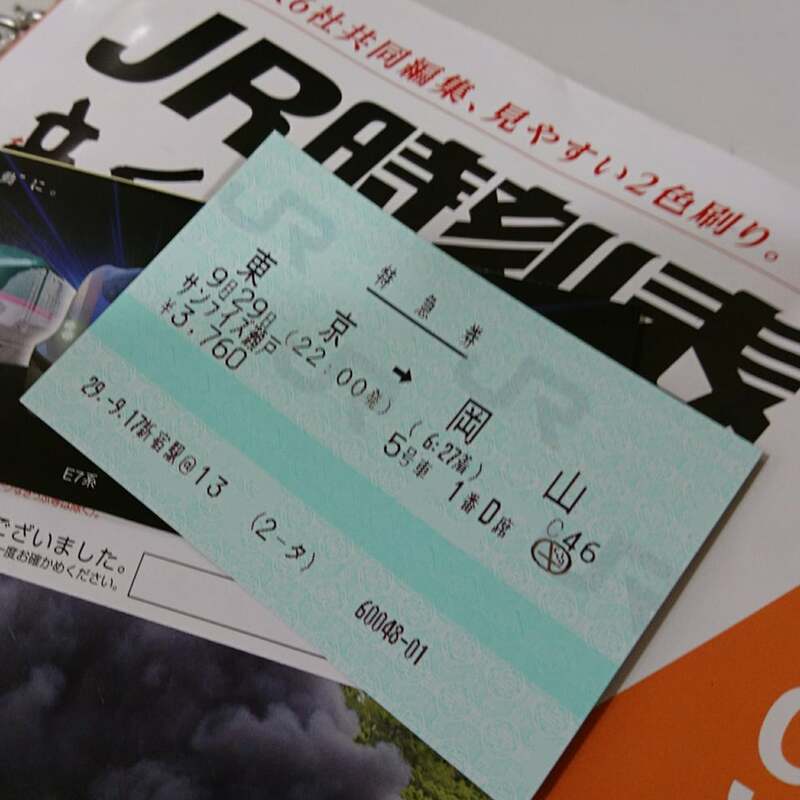 The Shinkansen has proven to be efficient. 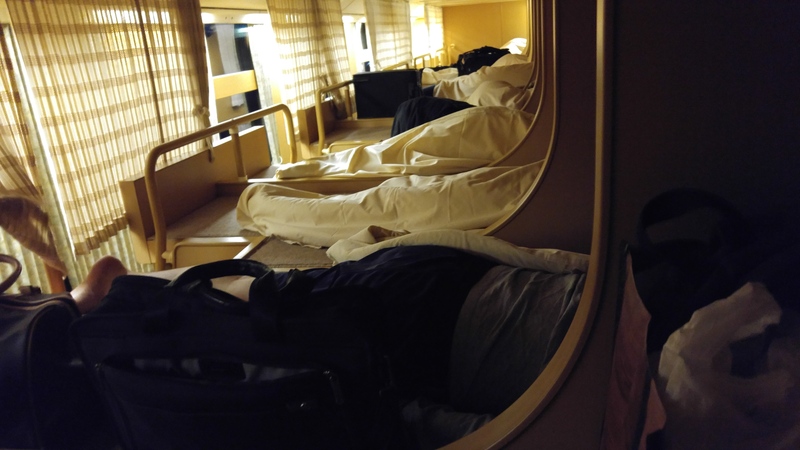 The appeal of a Night train (sleep while you cross Japan) is still there, even though the time is not get to a place is nothing compared to the speed of a Shinkansen. Still, I wanted to experience it. 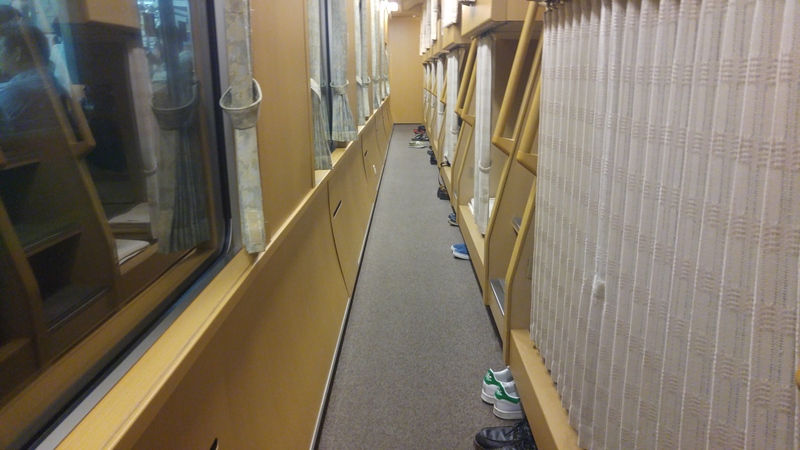 I also figured I can cover ground while I slept, compared to waking up early and jumping on the Shinkansen to Kyoto. 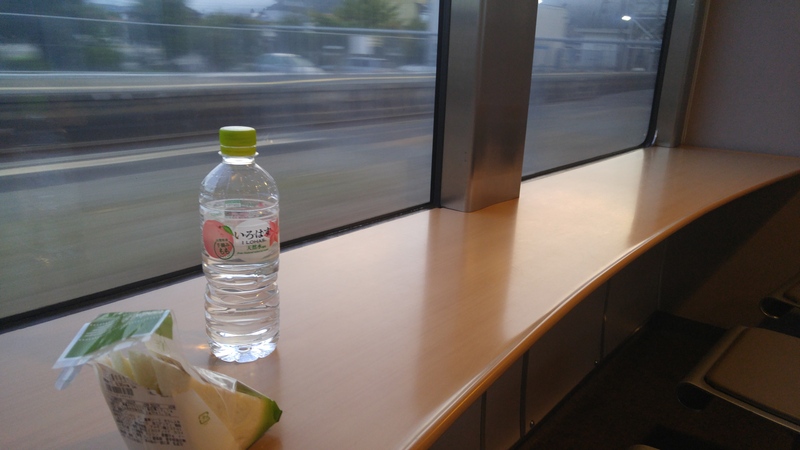 This would also give me some time see a few things on my back track to Kyoto. 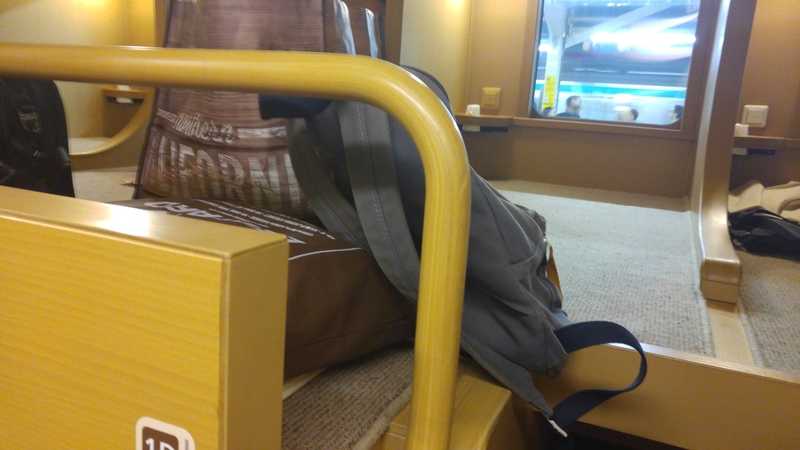 There are different seats available, I took the Nobi Nobi seat, which is basically a carpeted floor you sleep in. 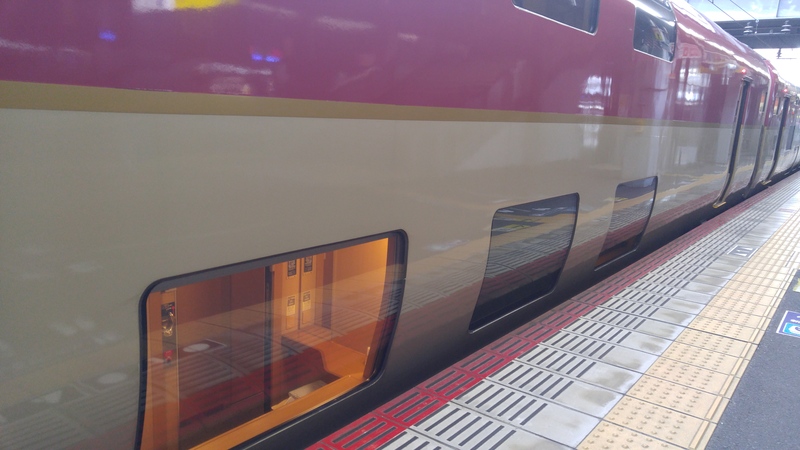 There is no food available on this train, buy a Ekiben (station bento box) before leaving. 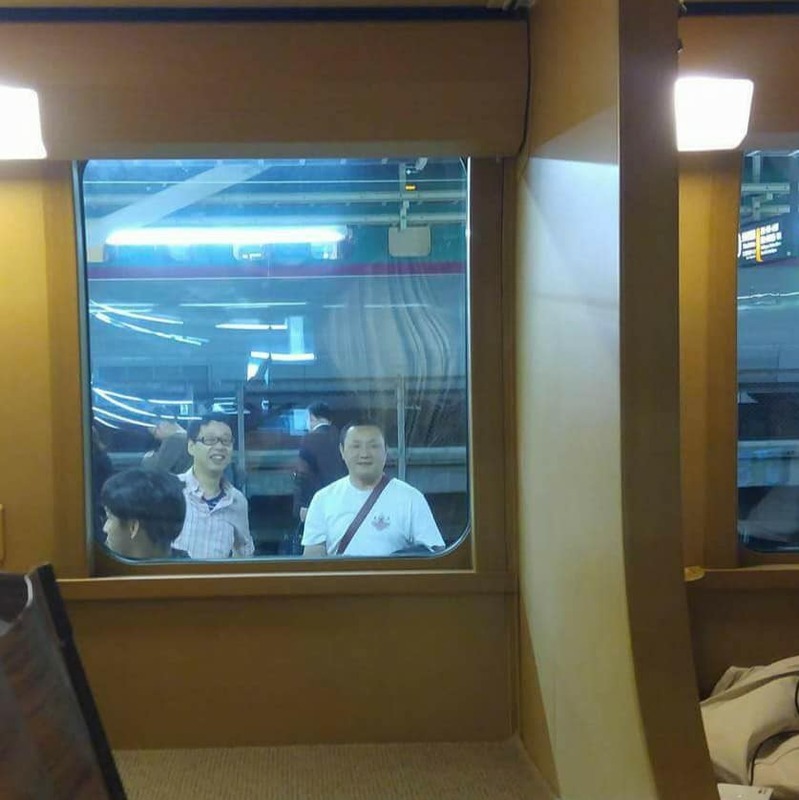 Food eating is only allowed in car #3, which is the lounge car with limited tables and window view. Shower is limited to 20 cards. The cards only give you 6 minutes to shower and cost 320 yen (sells out quick). I wanted to try this, so I asked Kuze-san to see if he can reserve me a ticket. He told me he got me one! 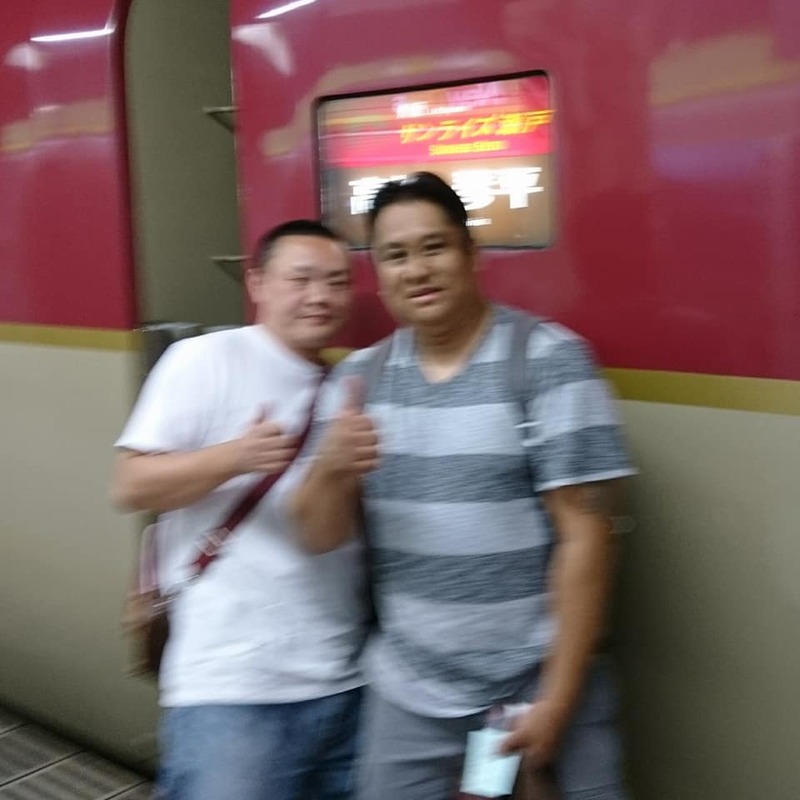 The plan was to meet Kuze-san @ 2145 at the platform so we can exchange gifts and he would give me the ticket and I’d pay him. 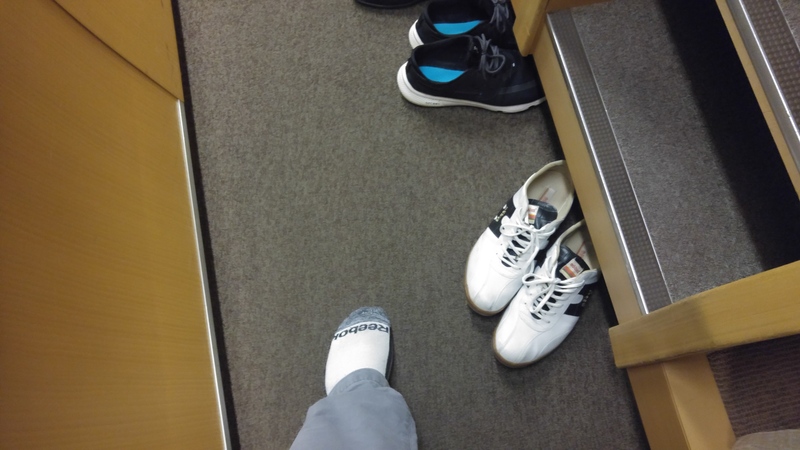 Earlier that morning, I had put my luggage in a locker in the bottom floor of Tokyo Station. 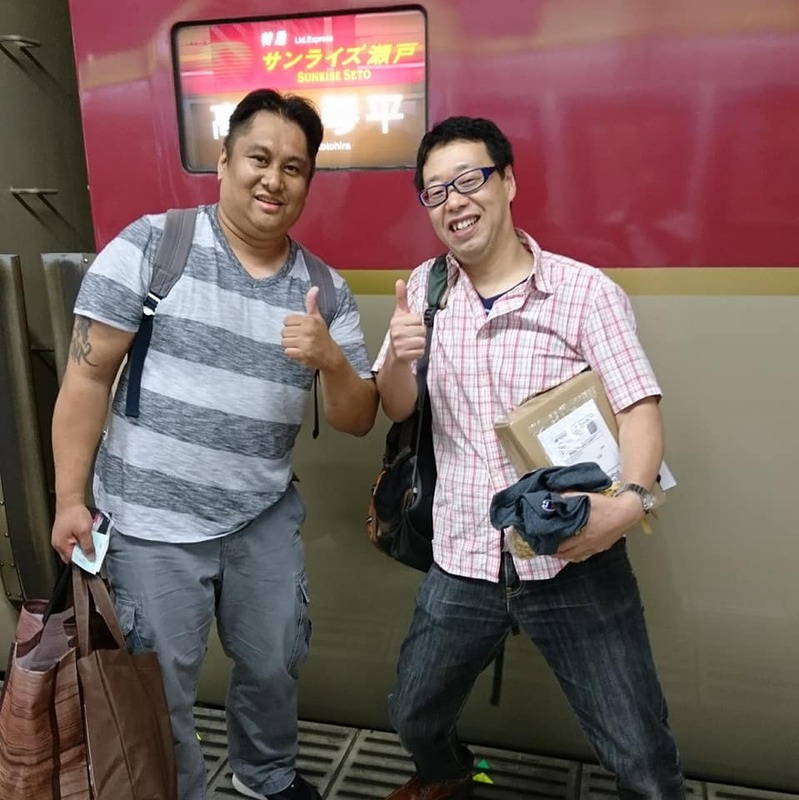 When my dinner with Original JDM guy took longer, I rushed to get to Tokyo Station, but I was still short on time. I was lucky to grab some clothes earlier “just in case” as I the night before it rained hard. 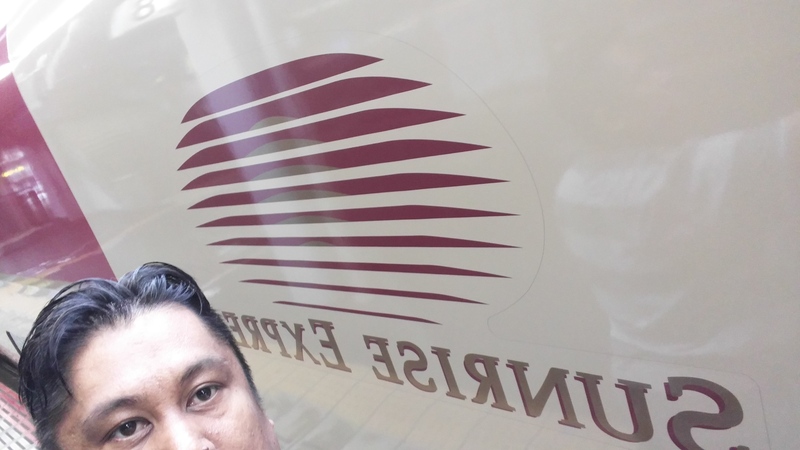 I arrived and only had a few minutes, so my luggage was left at Tokyo station. I only had the bag of clothes, gifts and essentials with me. As soon as I got on, I tried to get a shower card, but I did not have enough change. I only had my loaded Suica and 1000 yen bills… One of my neighbors tried to help me out, but by the time I got went to get the shower card.. sold out!!! I really wanted to try the shower on a train deal!!! Anyways, it was good to see Kuze-san and Kubo-san! I always enjoy their company. This was a great experience for myself. 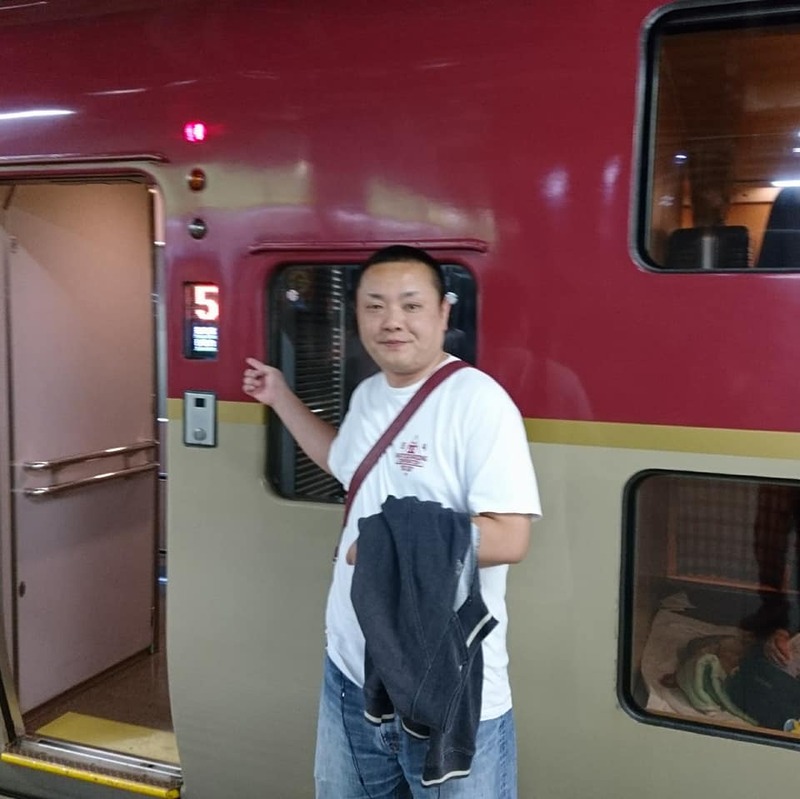 This is the last Night train in Japan. This entry was posted in Carshop Friend, history, magazines, review and tagged sunrise express.